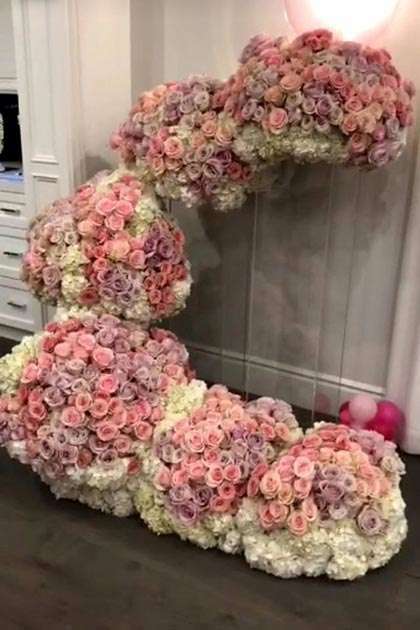 When you're a Kardashian or Jenner, it's a given that you'll be literally inundated with the world's most elaborate bouquets when you give birth. Hay fever is not an option in their households. But while Kylie, 20, has been flooded with flowers since the arrival of her baby daughter last week, there's one delivery in particular that stands out. 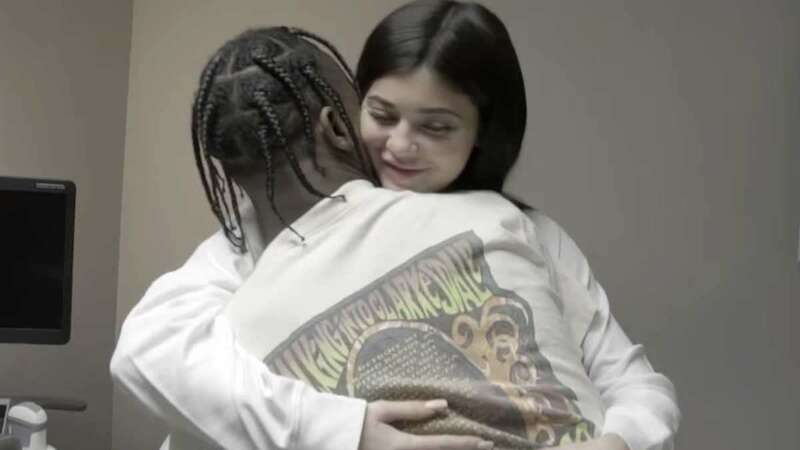 And it's thanks to her boyfriend Travis Scott. 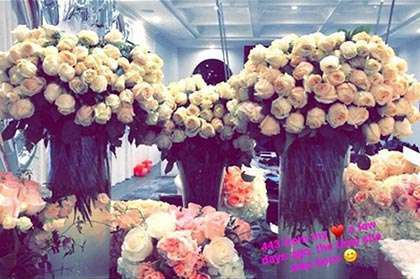 Proving what a romantic he is, Travis sent Kylie 443 white-stem roses and the new mom has been quick to show them off on Snapchat. In her post, she revealed the adorable reason why he selected that exact number. Referring to their daughter's 4:43 p.m. arrival on February 1, 2018, Kylie said: "443 from my [red heart emoji] a few days ago. the time she was born." Cute or what? 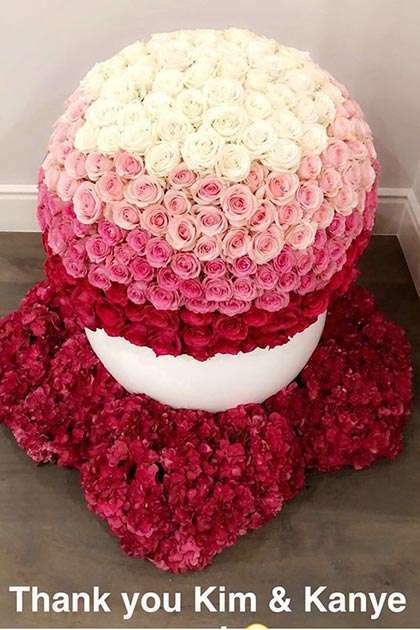 Kylie has been sharing many pictures of the stunning flowers she's received, including a large pink arrangement of roses from sister Khloe Kardashian. 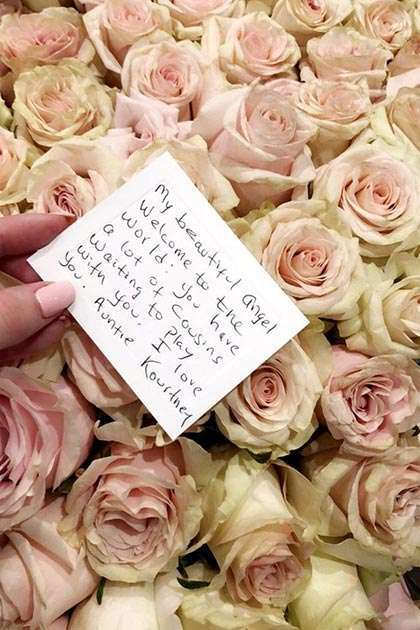 Meanwhile, Kim and Kanye gifted Kylie with a mega arrangement of white and pink roses. We're not exactly sure what it is, but we wouldn't say no. Big sis Kourtney also sent roses, with a sweet card addressed to the bubba. The mom-of-three wrote: "My beautiful angel, welcome to the world. You have a lot of cousins waiting to play with you. I love you. Auntie Kourtney." We're now wondering where on earth we'd put all these flowers if we were her.